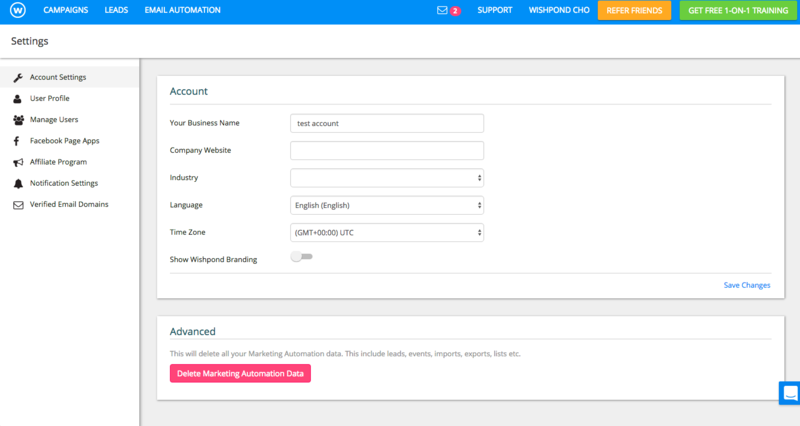 Changing the timezone on your Wishpond account will change the default time on all of your Wishpond campaigns including contest end times, user submissions, and newsletter schedules. Changing the timezone will not change the exported timezone of an exported CSV file however which will always be exported in GMT time. 3) Click on the Timezone option. This will display a dropdown menu of timezone options.